Jonas Hector has put pen to paper on a five-year contract with 1. FC Köln despite interest from a host of European clubs. 1. 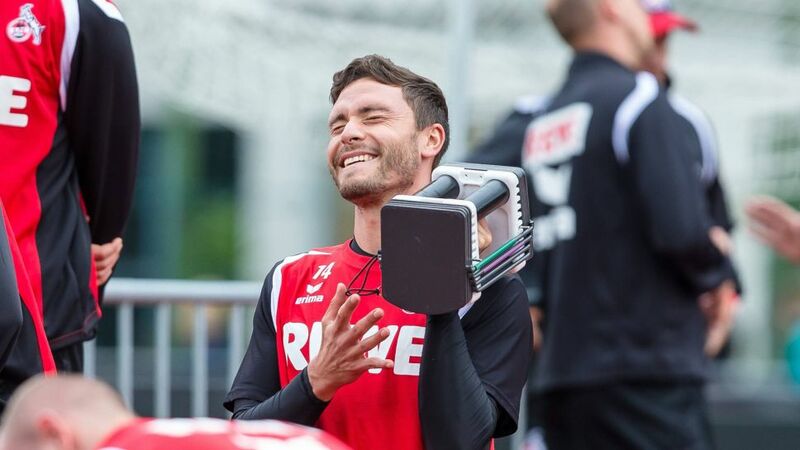 FC Köln have extended the contracts of Germany left-back Jonas Hector and promising attacking midfielder Leonardo Bittencourt until 2021. Hector had been linked with a move to a host of European clubs this summer after playing a starring role in Germany's run to the UEFA EURO 2016 semi-finals, but for the 26-year-old defender there was never any question that he would continue his progress with the Billy Goats. "I'm totally happy to be part of this team," said Hector, who started 32 of Köln's 34 league games last season as the club finished ninth. "I simply feel good here. For me, everything fits, so a contract extension was the next logical step." "The contract extension is for me a decision made with conviction," concurred former Germany U21 player Bittencourt. "I am very pleased to be part of this special club long-term." Kevin Volland and Javier 'Chicharito' Hernandez have struck up a quick understanding since the former joined Bayer 04 Leverkusen from TSG 1899 Hoffenheim this summer, and the attackers were each on the scoresheet as Die Werkself beat Real Sociedad de Futbol 2-0 in their official season opener at the BayArena. Will Volland and Chicharito score you the goals to win the Official Fantasy Bundesliga? Sign up here! "We wanted to open the season by giving our audience an entertaining match," said coach Roger Schmidt. "I think we've done that." Copa America Centenario champion Charles Aranguiz's injury problems look to be behind him, meanwhile, with the Chilean pulling the strings in midfield for 66 minutes before making way for Levin Öztunali. A Julian Brandt-inspired Germany reached the semi-finals of the Olympic football tournament with a 4-0 victory over Portugal. Bayer 04 Leverkusen midfielder Brandt, 20, set up three of the goals at the Estadio Nacional de Brasilia, with Arsenal FC youngster Serge Gnabry opening the scoring on the stroke of half time. Borussia Dortmund’s Matthias Ginter doubled Germany’s lead 13 minutes into the second half, before further goals from Davie Selke (RB Leipzig) and Philipp Max (FC Augsburg) completed a resounding victory for Horst Hrubesch’s side, who will face Denmark or Nigeria in the last four. SV Werder Bremen's record goalscorer Claudio Pizarro could miss Die Grün-Weißen's 2016/17 Bundesliga season opener against his former club FC Bayern München after tearing his thigh muscle. The 37-year-old Peruvian, who scored 14 goals last term to help the Weser Stadium side avoid relegation, felt the pain in his left leg at Bremen's pre-season training camp in Herzlake, Lower Saxony. He has been sent home early, along with midfielders Florian Grillitsch and Philipp Bargfrede and left-back Santiago Garcia. "This is obviously bitter for Claudio," said coach Viktor Skripnik, who played alongside Pizarro in the striker's first spell at Werder between 1999 and 2001. "Now, above all, it is important that he recovers fully from the injury. He will be available again when he is fit." Borussia Mönchengladbach goalkeeper Yann Sommer has returned early from an ankle injury. The Switzerland No1 picked up the knock in pre-season and had been doubtful for the Foal's UEFA Champions League play-off clash with BSC Young Boys next Tuesday. However, the 27-year-old shrugged off the injury, putting in an imperious display to help Gladbach keep a clean sheet in their official season opener against SS Lazio at the BORUSSIA-PARK. SV Darmstadt 98 have signed Hungary international midfielder Laszlo Kleinheisler on loan from Werder Bremen. The 22-year-old will stay at the Merck-Stadion am Böllenfalltor for the 2016/17 season, though there is no option of a permanent transfer. "Laszlo played well in the recent EURO and we are confident we will see a positive development in him," said Bremen sporting director Frank Baumann. "In Darmstadt he now gets the opportunity to gain match practice in the Bundesliga and prove his ability at the highest level." * Who will watch #SV98's friendly from the stands? Of course, the answer is d) Our newcomer Laszlo Kleinheisler!